You are here: Home / Blog / unicorns / Can You Find and Match the Unicorns? Can You Find and Match the Unicorns? Here is a quick, FREE, printable to check if you can find and match the unicorns? Get your free download at the bottom of the post. 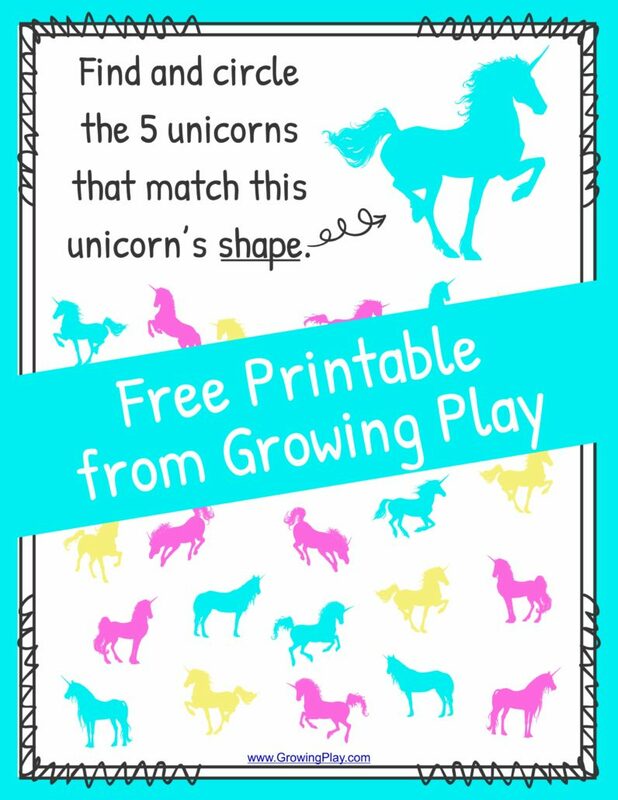 For this unicorn puzzle, you need to seek and find the 5 unicorns that match the unicorn at the top of the page. The unicorns only have to match the shape, not the color or the direction. 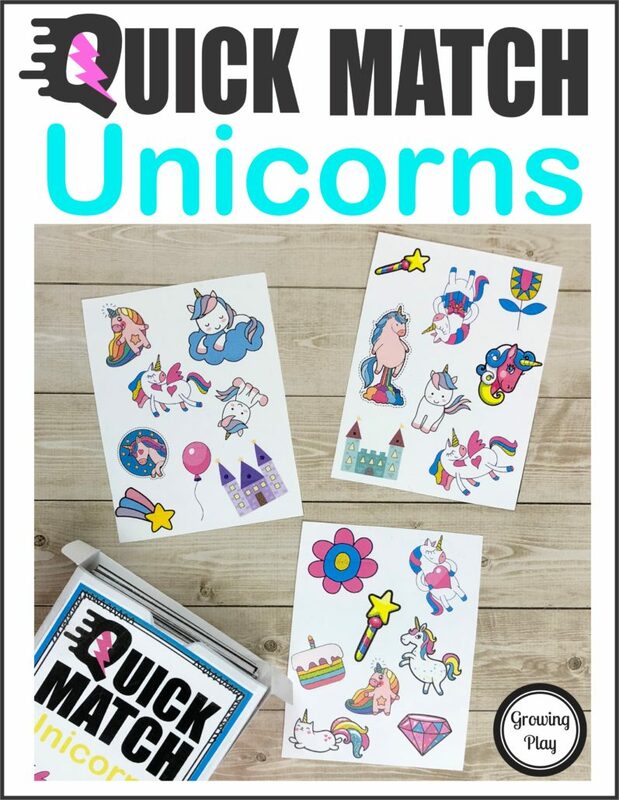 If you are looking for a SUPER FUN game to match unicorns check out Unicorn Quick Match Card Game. This digital download includes 54 cards and the box template to print and play. Challenge visual perceptual skills and quick timing with this SUPER FUN game. FIND OUT MORE ABOUT QUICK MATCH UNICORN CARD GAME. Ready to download your freebie? Sign up to receive our email newsletter to gain access to the free match the Unicorns puzzle. If you already subscribe, just enter your email address and you will be redirected to the download.